On November 25th, 2015 , the Argentine Navy personnel who participated in the Battle of Tumbledown (13 to 14th June 1982), received decorations at the 14th floor of the Navy´s HQ. thus giving recognition to the acts of courage displayed under special circumstances. All this being a very meaningful booster. 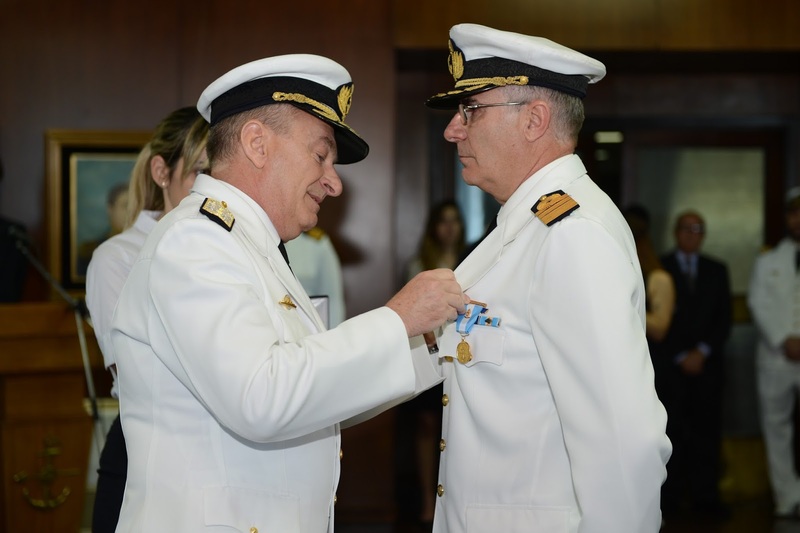 The ceremony took place within the framework of Law 21.577 which empowers the military to grant awards for outstanding group or individual actions. 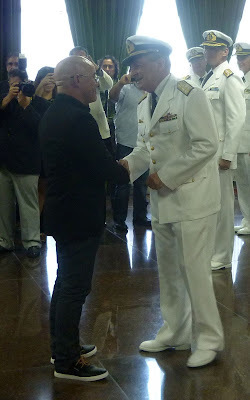 Father Francisco Rostom Maderna of the Admiral William Brown Military Lycee blesses the decorations. In the Argentine Army a Section is composed of 3 patrols or platoons: 2 shooters and a support one, summing up 45 men. A British Army rifle section comprises 10 men. A British Army rifle platoon comprises 35 men. Julio Saturnino Castillo was born on August 19th, 1943 in the village of Malacara, Taboada Department, Santiago del Estero Province. He joined the NCO School of Marine Corps on 1st August 1966, beginning a naval career that would take him through several destinations as the NCO School of Marine Corps, Battalion of Marine Corps No. 2 Marine Corps Brigade No 1, the Marine Corps Naval Base and the Marine Corps Battalion No. 5. During this last appointment he volunteered for the islands. Castillo suffered from epilepsy. 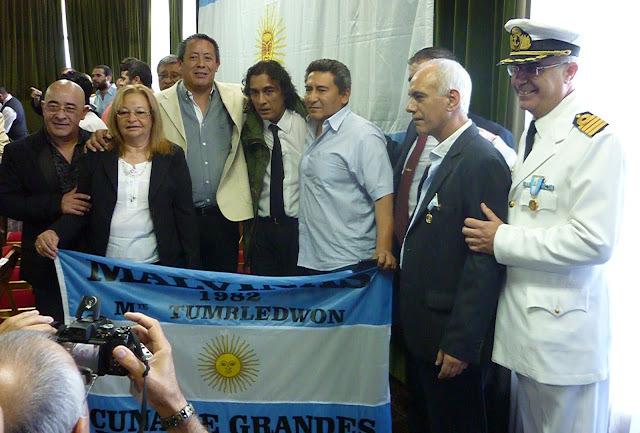 While in Malvinas he had to be hospitalized for two days. As soon as he recovered he requested to return to his men. Such requirement was accepted by its terms in courage and leadership. British superiority was overwhelming and, although the Argentine troops swooped, enemy attackers kept appearing over. Three British shot Provisional Officeholder Galarza and conscript Cerles. When Castillo watched the way his men were shot down he started firing his gun in anger on the enemy while providing aid to the wounded. 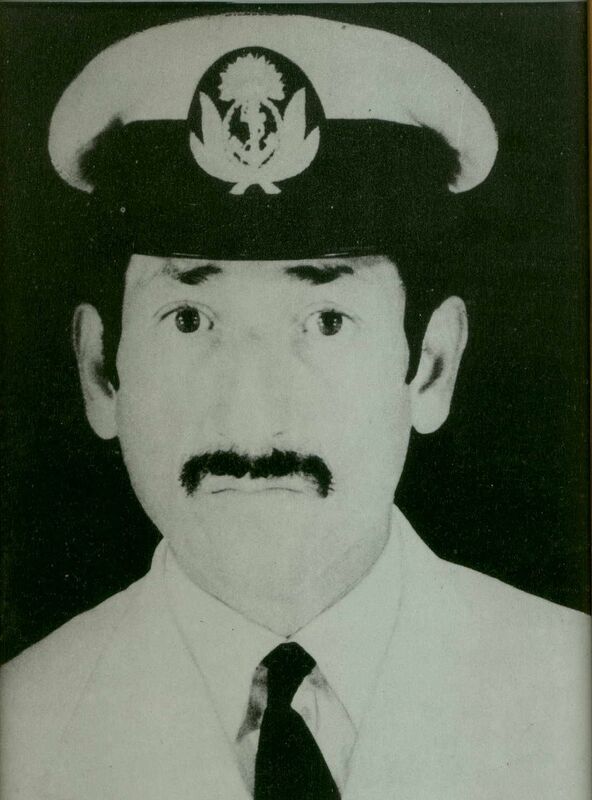 He screamed and insulted killing his opponents till he dropped dead as a result of a chest gunshot. The Argentine Navy christened a fleet ocean tug as ARA "Suboficial Castillo" . She entered service on June 7th, 1994 and currently integrates the Maritime Division of the Naval Atlantic Area patrols, based at the Mar del Plata Naval Base. Felix Ernesto Aguirre, was born in Buenos Aires on 17th October 1962.When he was three years old, he lost his birth mother and moved to live with his father, Ramon Aguirre to Machagai; (which means "Lowland" in the Toba language ) Its inhabitants are mainly engaged in agriculture, livestock production, and timber. He was raised with love and dedication by Hilda Aguirre Esther Acevedo, "mother heart" in his heartfelt words. She remembers him as the "darling of the house" as the only son of the family. Hilda had married Ramon Aguirre father of the hero and fulfilled her mother´s role. He completed his primary education at the "School No. 63" Machagai. He is remembered as naughty, but responsible. Later he attended the Polytechnique School John XXIII in Saenz Peña . He qualified as an electromechanical technician, and helped his father who owned a workshop dedicated to fix flaws in this specialty. Felix was a cheerful young lad with a restless character. He had two passions in life: soccer and music. He became member of the Machagai music band where he applied his musical knowledge. He used to play well his guitar. Marine Corps Active Sub-Lieutenant Carlos Daniel Vázquez IM (25), left his Monday class of Thermodynamics at the Officer´s Naval School in Puerto Belgrano and was appointed to Malvinas. 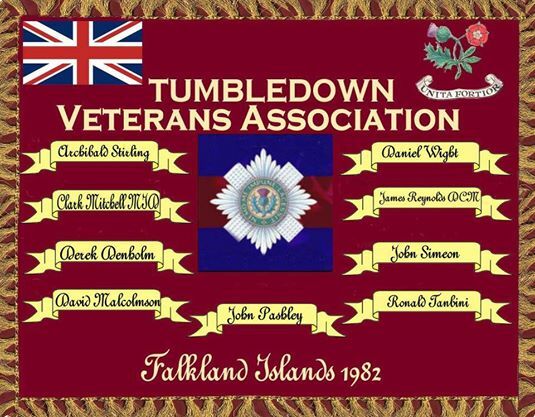 He was put in charge of the 4th Platoon of the NACAR Company of the Marine Corps 5th Battalion (4 / N / 5), which was situated at the west end of Tumbledown. The section had a 150-200 meters front and a 50 meters depth.. 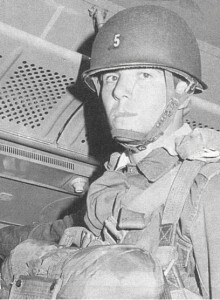 Initially he had two groups of shooters and a commando platoon. Each group consisted of 10. Corporal Second Class Amilcar Tejada and two conscripts from the Communications Battalion No.1. The section was composed of 30 men of Marines, but when the fighting started there were only 27, as three had been evacuated earlier by injuries suffered during the British bombardment. As of June 12, the fourth platoon happened to be reinforced with 20 conscripts of the Argentine Army, a corporal and Second Lieutenant Oscar Augusto Silva. All these staff came from the RI 12 and RI 4. In all 44 men were in the position of Vázquez. From midnight on June 13 and until the other day 8.10hs his section was attacked endlessly by the 2nd Battalion Scots Guards . 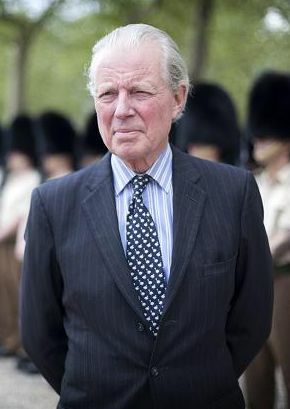 The final Scots Guards bayonet charge, led by Kiszely, was carried out by half of 15 Platoon and the Left Flank Company HQ (an approximate total of some 30 men). First of all I want to thank the Chief of the General Staff of the Navy to allow me to address my men as Chief of the 4th Platoon. The last time I did it was a June 15, 1982 in a shed for sheeps at the Estancia Fitz Roy, with two guards behind me pointing their weapons. At that time I asked for permission to speak, in order to congratulate them on their performance in combat. What was the 4th Platoon? 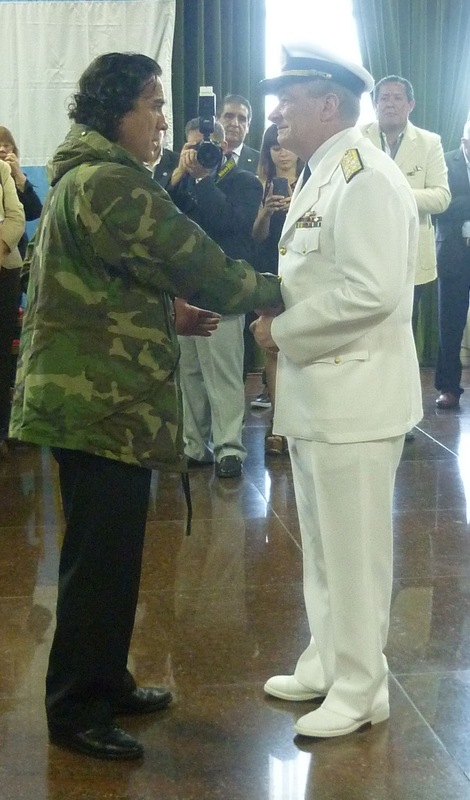 It was an heterogeneous group of Marine Corps where many of us didn´t even know each other. We met in mid-April in a mountain called Tumbledown. 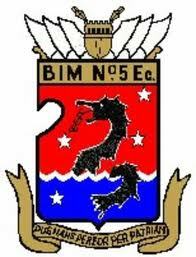 Our mission was to be part of the first line device of the NACAR Company of the 5th Battalion. These Marines, were not even chosen, were rather, a stew. We were positioned 1800 meters ahead of the rest of the Company device , away and out of reach of the other fractions to support our flanks and rear. We had in front of us a quaint and beautiful landscape. With had with the course of events deprivation, discomfort, uncertainty and misery, typical of all wars, from the time of the Caesars to the present day and beyond. Because that is what war is all about. To this was added gradually, air strikes, naval artillery, field artillery, until we begin to be visual spectators of the first infantry men fighting against our positions. 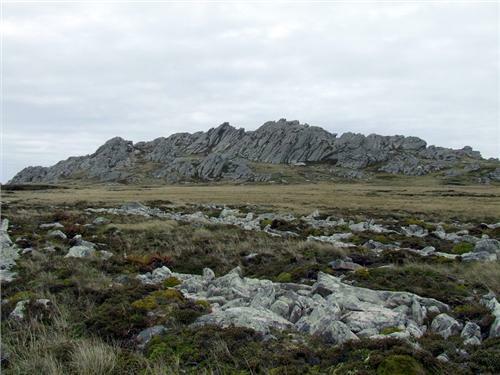 On June 13rd, I received in my position men from our beloved Argentine Army, passing through Tumbledown retreating from their positions which were already in the hands of the enemy. We incorporated about 15 of those brave men to reinforce our 4th Section. These men came from various units and I never knew their names, not even after their death, but henceforth they became part of us. On the morning of June 13rd, I received my last order to defend our position. We knew that night would be submitted to our most intense test. With the last light of that Sunday June 13th, I walked the 4th Platoon positions, wondering what it would be the next morning. That night, at 22 pm we received during an hour heavy fire from British field artillery and from their naval guns in support of the attack and fire as well from an armoured exploration squad. There were scenes for which there are no words capable of describing them, and this was one of them. Rifles, machine guns, pistols, hand grenades, anti-tank missiles, bayonets, all furrowed punching the air and exploding everywhere, mixed with cries of orders, requests for support, pain and courage. This went on until 0130 hours on Monday, 14th June. As the 4th Platoon was overtaken by the enemy in numbers and firepower in this unequal battle we resorted to the use of our own mortar fire on ourselves, in an attempt to collect the enemy dearly for their imminent victory. This desperate act unexpectedly won the temporary withdrawal of the enemy mixed between the foxholes of the 4th Platoon. I remember the cries of victory and courage of these men who, few minutes before ,considered themselves lost..
"Come to us, we are Marines ! ..."
Can anyone forget those voices? Half an hour later a new British company repeated the previous assault, and a similar battle took place, which lasted under these conditions until just before dawn on June 14th. 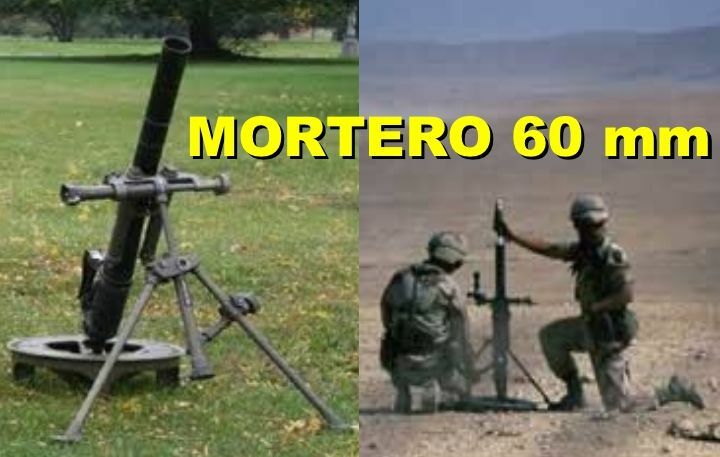 At that time the Platoon had no longer mortar ammunition so we required upon ourselves the fire of mortars and from the BRAVO field artillery. 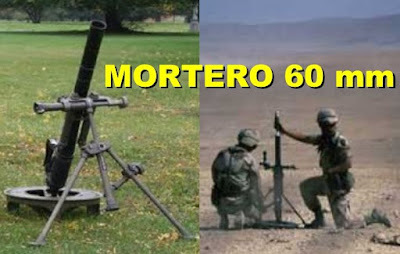 Added to that was the Airborne Artillery Group 4 fire from our brother Argentine Army. The relief was achieved at a high price, but not the victory. At 0715 hours on 14th June, and by my orders, the few members of the 4 Section that could still maintain their positions, laid down their arms. The 4 Section fought in an unequal battle with no chances of success. The 4 Section never retreated. The 4 Section fell in its place. 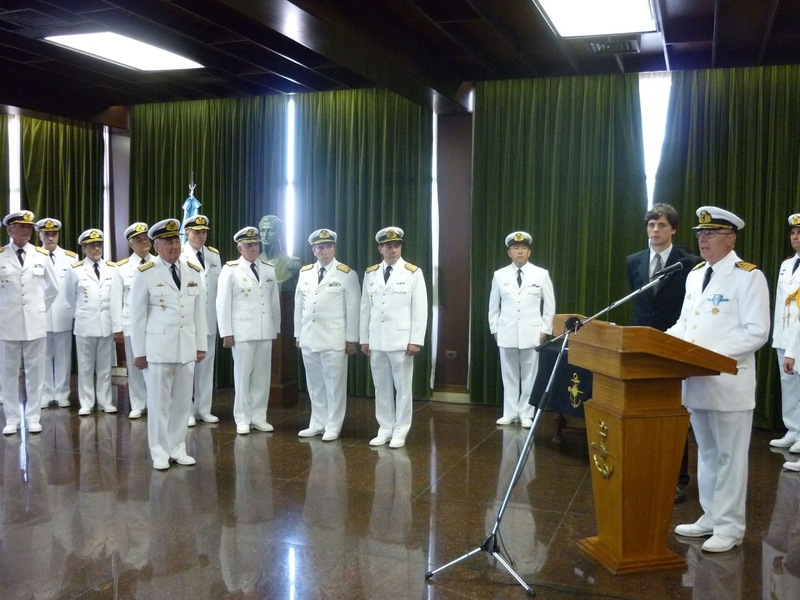 We have today in this room of our beloved Argentine Navy, some of those men. 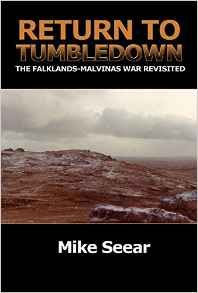 Many remained forever in their positions in the Malvinas. 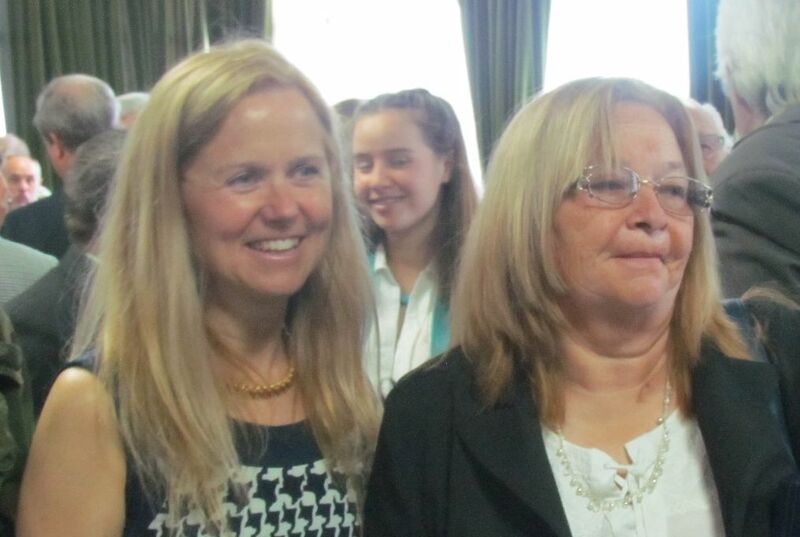 Today we have Mrs. Hilda Acevedo, mother of Felix Aguirre, known as the 4th Platton´s ´flamethrower´. Mrs. Acevedo is a teacher. But she also taught as a mother, because she raised a child, in the values of love for the country, the performance of duty and the sense of humanity. 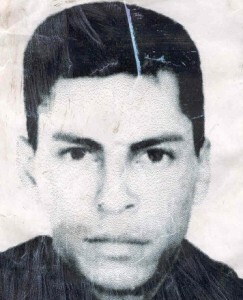 Conscript Felix Aguirre, belonging to the group of Petty Officer Castillo, also KIA, ran to help wounded Second Lieutenant Silva and while trying to protect him was killed by the British infantry. An example of a soldier, a comrade , a patriot and a man. God bless you Mrs. Hilda. How many more mothers and teachers like you I would like for my country. Here are some men today, soldiers yesterday, to be distinguished by their performance during the combat. The then Marine Corps Corporal Second Class Amílcar Tejada, former Provisional Officeholders Ramón Rotela and Victor Julio Gasko, former conscripts Jorge Ricardo Sánchez, Héctor Horacio Chávez and Pablo Daniel Rodríguez. They will be recognized today by specific actions during combat. But the merit is not only of them. The credit goes to each of the men of the 4th Platoon who fought that night, maintaining their position, following orders, taking their own decisions about death. 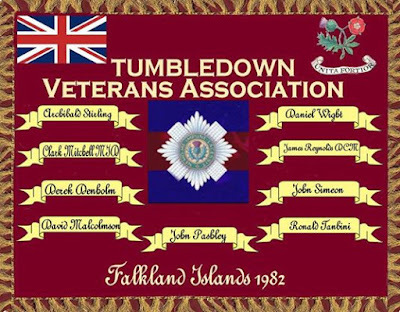 In West Tumbledown, the 4th Section found the maximum expression of equality among soldiers, which is equality before duty. 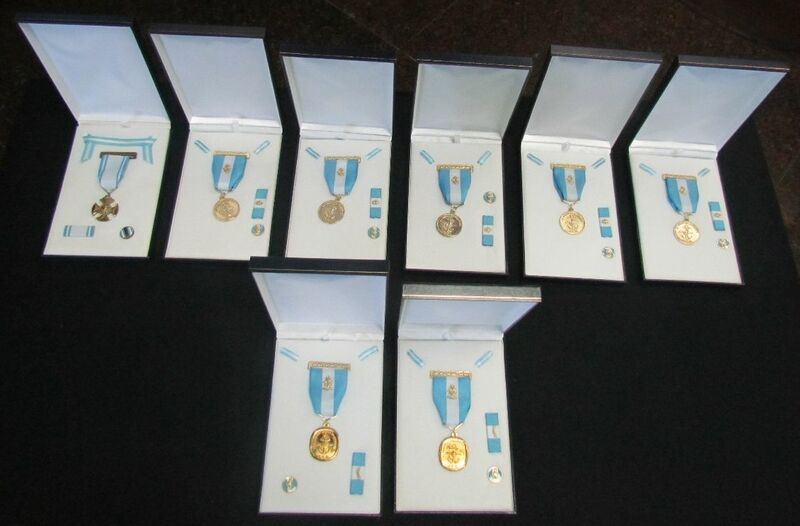 And paying tribute to the equality, were downed under fire, regardless of hierarchy or of Forces, Provisional Officeholder José Luis Galarza, conscripts Felix Aguirre, Hector Abel Cerles, Petty Officer Julio Saturnino Castillo , conscript Juan Carlos Gonzales, Second Lieutenant Oscar Augusto Silva, Conscripts Alfredo Gregorio, Ramon Garcia. and the rest whose names I don´t know and I´ll never will. As a soldier, I would like to express my respect to those against whom we fought and fallen, as the military courage and dignity, did not recognize borders or flags in West Tumbledown. With these words I reward the homages that were given to the 4th Platoon. When I was young I was taught that discipline is voluntary willingness to comply with the orders, for the good of the service. And here I emphasize the words "voluntary willingness to comply with the orders ..."
To all these men members of the 4th Platoon, to my beloved and glorious Marine Corps, and our brothers, the brave soldiers of the Argentine Army I ask God to be at their side. 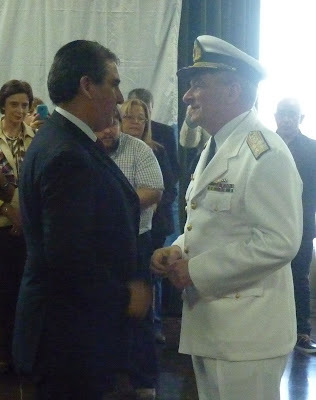 That our Navy may forever shelter the memory of all these men who wrote a small page of history for the glory of our Marine Corps and our Argentine Navy. Long life to our country ! `As part of the 4th platoon Shooters NACAR Company of the Marine Cors 5th Battalion, verified a cable run under direct fire from enemy and own artillery, assumed the leadership of a shooters group when his Chief died encouraging and providing an example to his subordinates with disregard to his own life, resisted three British assaults, fought hand to hand, endured overwhelming fire and rendered his position only after exhausting their ammunition and by order of the platoon chief. (As Lieutenant he was in charge of the NACAR Company of the Marine Corps 5th Battalion). The British attack started with the darkness of June 13rd. PARAs, Scots Guards and Gurkhas clashed against the Argentine last resistance. All the invasive power was unleashed with violence and efficiency. The Argentines resisted and killed . The died but reappeared as if they have never perished. The positions were surrounded, worn out, weakened by artillery fire, slowly and with great efforts. In the middle of all this, Oscar Silva had understood that it was his end. He ordered, shot, and led his soldiers permanently encouraging them It was a whirlwind that could not be stopped until the moment he had dreamed all his life: the ultimate sacrifice for his country. He used a gun, another and another one. Suddenly, he ran out of ammunition. He looked around. He saw a dead soldier with a heavy gun at his side. He rose to the position, grasped it and decided not to separate from him. He returned to his position and kept firing. Suddenly he felt something warm around his waist and watched a red patch on his fatigues. Then, the same, thing happened but near his shoulder. Srta. Constanza Cibeira-Ceremonial y Protocolo de la Armada- Edificio Libertad. 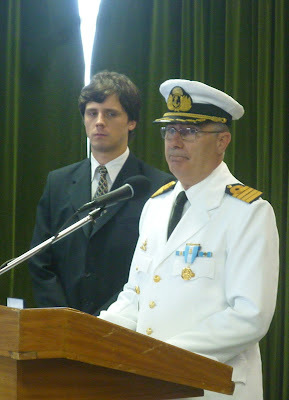 CFCB Jorge Alberto Nicastro-Jefe del Departamento Veteranos de Guerra-Edificio Libertad. 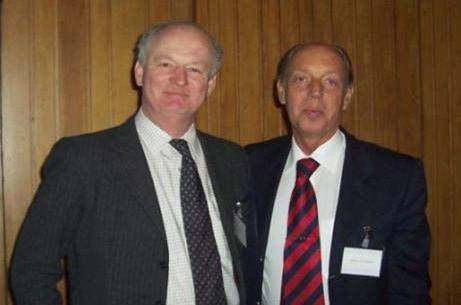 Seear, Mike Major (Ret) Former Operations and Training Officer of 1st Battalion, 7th Duke of Edinburgh´s Own Gurkha Rifles. 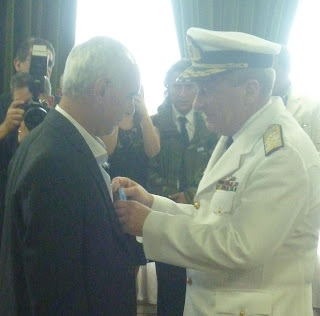 SPFU Zanni, Andrés- Departamento Veteranos de Guerra-Edificio Libertad. 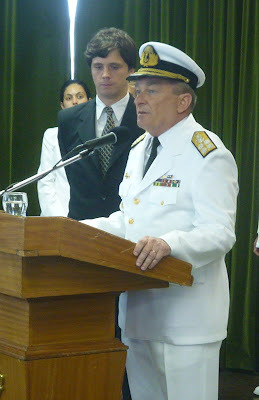 Seear, Mike Major (Ret)- Former Operations and Training Officer of 1st Battalion, 7th Duke of Edinburgh´s Own Gurkha Rifles during his lecture on Leadership in Offensive Conventional Warfare Operations given on Octobr 9th , 2015 at the Armed Forces Health Center ´Veteranos de Malvinas´, his book Return to Tumbledown and personal communication. Tobárez, Rolando-Tumbledown-Historias Mínimas-Diario Jornada http://www.diariojornada.com.ar/49006/Politica/Historias_Minimas.